Drama from 80´s in Czechoslovakia. An ordinary school with an ordinary teacher... or not. Since the arrival of the new teacher, Maria Drazdechova, to a Bratislava suburban school in the year of 1983, life has turned upside down for students and parents. The convincement of the teacher’s corrupted behaviour and one of the students' suicide attempt that could be related to that matter, makes the school Principal call the students’ parents for an urgent meeting that will suddenly put the future of all the families at stake. They are asked to sign a petition to move Miss Drazdechova out of the school. The teacher’s high connections within the Communist Party makes everyone feel threatened, but at his point they have no choice but to make a decision: will they dare to go against Miss Drazdechova and stand up for what they believe in at any risk, or will they just remain silent and let things be? From US cinema distribution (The Teacher, English subtitles, distribution by Film Movement). 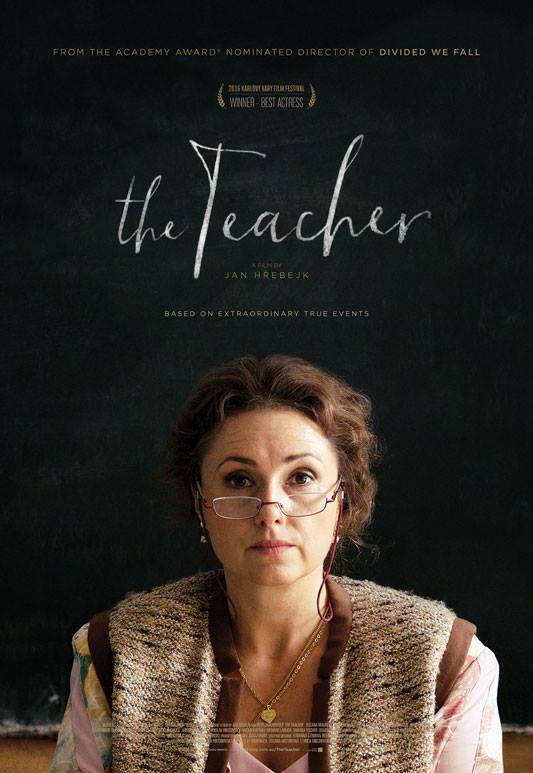 From Australia cinema distribution (The Teacher, English subtitles, distribution by Palace Films). From Spain cinema distribution (La profesora, Spanish dubbing, distribution by Karma Films). From shooting: Zuzana Maurery (Miss Drazdechová, the teacher) with Peter Bebjak (Mr. Littman).